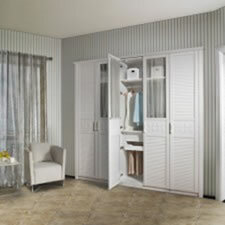 Cavallo now offers custom designed wardrobes. We have an extensive range of styles for both built-in and walk-in wardrobes that will suit your home, whether its modern, classic or minimalistic. 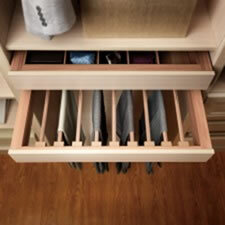 Our wardrobes offer functional and practical solutions with slide out shelves, trouser racks and dividers, to allow easy access and storage of your clothing and personal items. 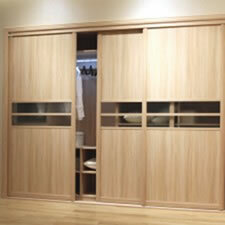 Cavallo has a unique range of wardrobe doors, not offered by other Australian suppliers. We have a comprehensive range of wood veneer, glass and polyurathane finishes, with options to mix and match finishes. All doors have a smooth opening and closing mechanism to minimise noise and impact. 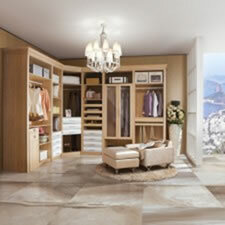 Cavallo can design a walk in wardrobe of your dreams, with both classic and modern finishes. 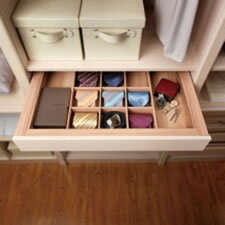 Utilize space effectively with custom designed shelving and storage. 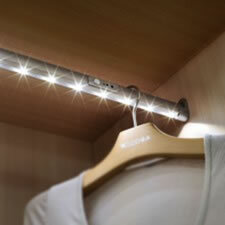 We also offer innovative solutions such as pull out mirrors and LED sensor lighting. To give you peace of mind all Cavallo wardrobes are built using materials meeting the highest European E1 environment standards. Bring your wardrobe measurements into any one of our showrooms and a Cavallo designer can design a wardrobe of your dreams!